Now we have always been one for gender equality and not pushing gender roles on our kids. My daughter plays with trucks, my son plays with our kitchen set, both enjoy imaginative play where they dress up and play pretend. They both also equally help my husband when he’s working on the cars, help me with dinner before my husband comes home from school, etc. But that’s another post. We’ve never pushed one toy or another onto them however they’ve both naturally gravitated to gender stereotype toys when they play on their own. And that’s ok. Both love LEGOs. Blue, green, pink, purple, or yellow. While he was at school, my daughters and I enjoyed Heartlake City on our own. 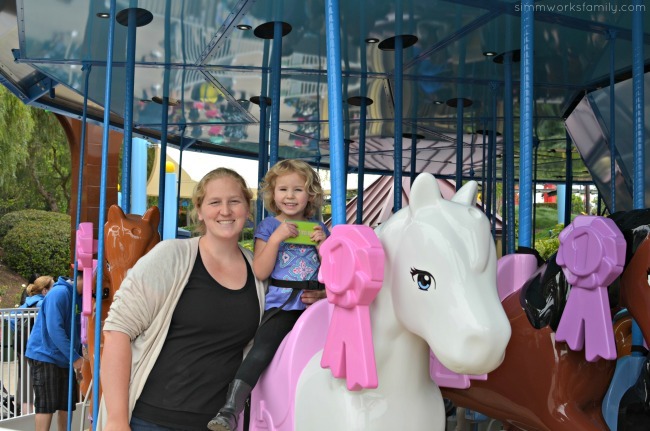 We built horses and other LEGO creations in the Heartlake Stables, rode the carousel at Mia’s Riding Camp, and enjoyed a crepe at the City Park Creperie (side note: I highly suggest the nutella crepe!). Once he got out of school, my husband picked him up and drove up to meet us at the park. My daughter was stoked to bring them both to Heartlake City to show them around and share what she had gotten to do all morning. 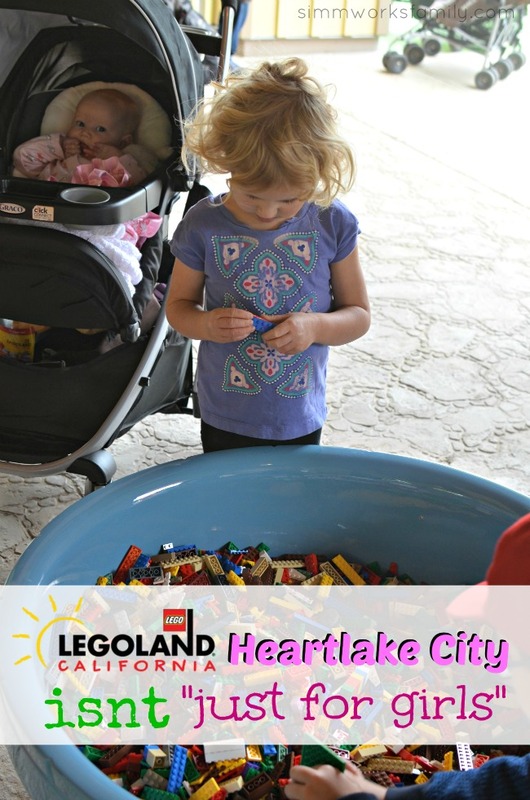 From watching my daughter’s favorite LEGO Friends of Heartlake City dance and sing on stage to splashing around at the splash pad, both my son and my daughter had a blast exploring LEGOLAND Heartlake City. 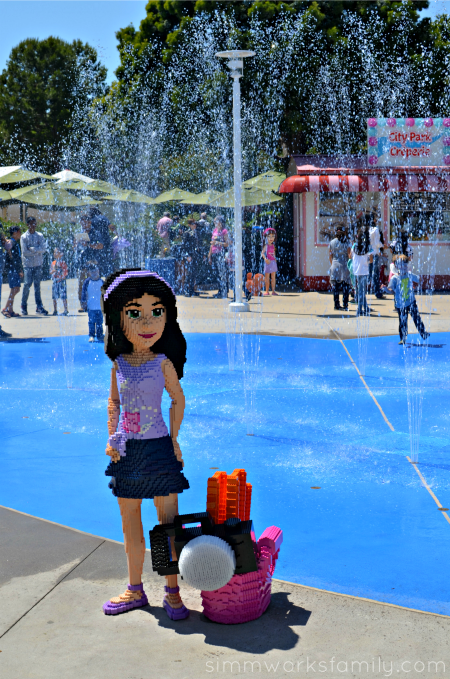 I’m fairly certain my son won’t complain about Heartlake City at Legoland California being “just for girls” again. 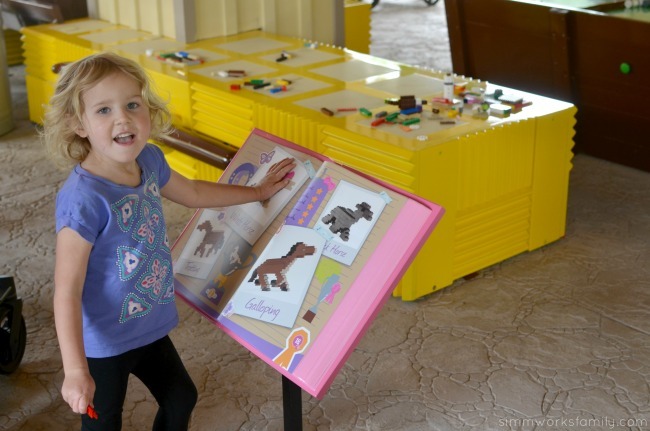 LEGOs – Just like everywhere else in the park, the kids can get hands on and build in the Heartlake Stables. Sure, there are pink and purple LEGOs. But they’re amongst a sea of blues, greens, reds, and yellows. Rides – The kids both loved riding the carousel at Mia’s Riding Camp. Horses are for boys and girls last I checked. 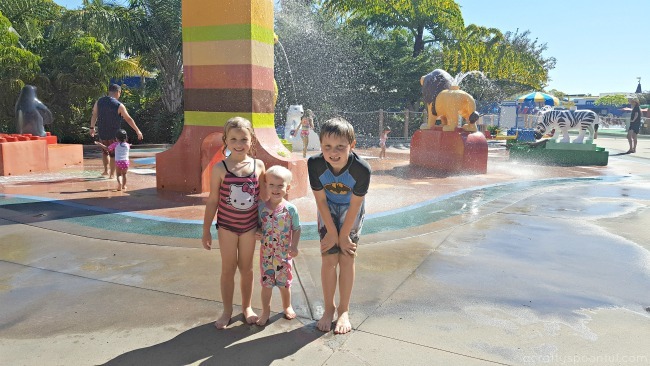 Splash Pad – Running through the splash pad is awesome. And it cools the kids down on a hot summers day. 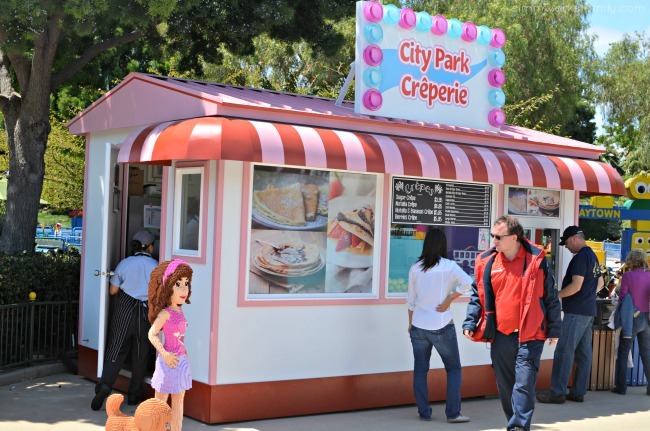 Crepes – Amongst other treats found in Heartlake City (you can also try Wok n’ Bowl for some delicious ramen), the nutelle crepe can speak for itself. Enough said. 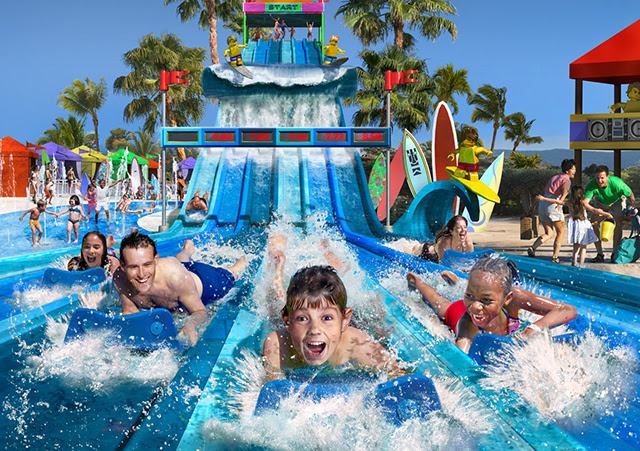 Family Friendly Fun – Just like everywhere else in the park, Heartlake City is filled with family friendly fun that everyone can enjoy. Sure there’s lots of pink and purple. 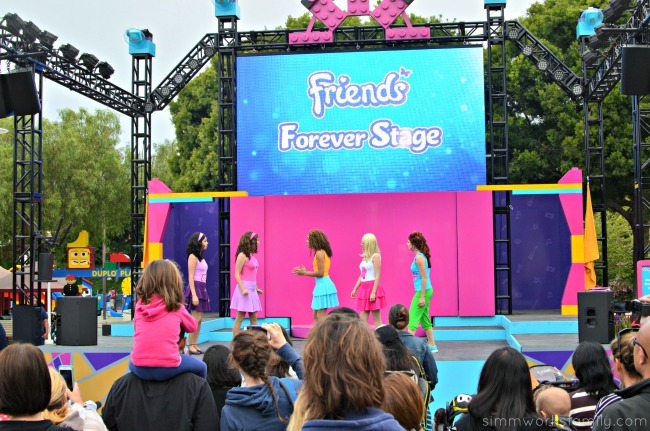 I don’t see why pink and purple can’t be in other areas of the park too. And next time? We’re tackling the LEGO CHIMA Water Park. 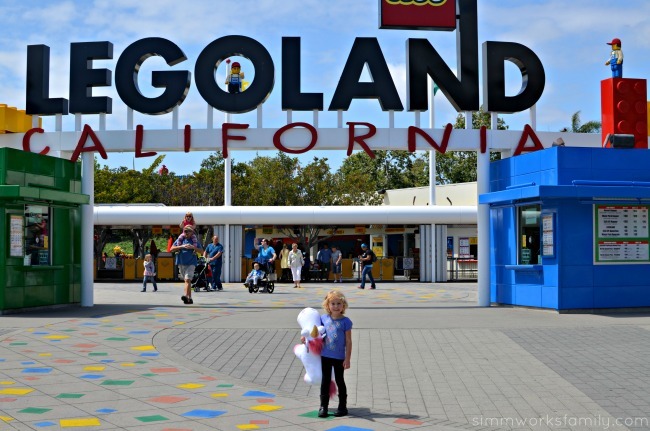 What are you looking forward to checking out at LEGOLAND California this summer? I received 2 tickets to Legoland Resort. All opinions are 100% my own. A few weeks ago a very special boy celebrated a very big birthday. My son turned 5. And in celebration of this huge milestone birthday we headed to Legoland for the weekend. 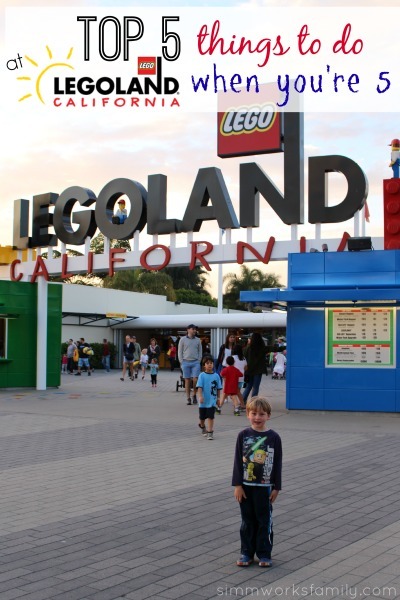 And he gave me the scoop on the top 5 things to do at Legoland California when you’re 5. Because it’s a totally different experience from when you were 4. Or 3. No, seriously. It is. And it’s so much cooler! Our HouseParty Lego Duplo Playdate was an absolute blast! 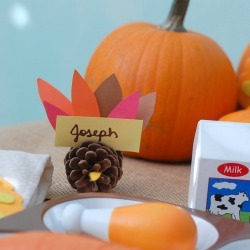 I had so much fun figuring out what foods to serve, how to decorate, and how to keep the little ones entertained. 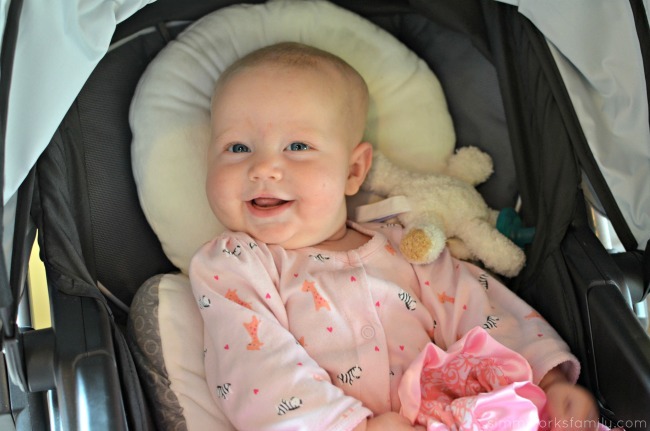 Now normally when we have a playdate I grab whatever’s in the fridge and whip it up into something appealing for both the mamas and little ones. HouseParty was kind enough to send along 4 of Lego Duplo’s new Read & Build Kits for us to play with! 2 of the 4 Read & Build kits were raffled off to my guests to take home with them so they could continue the fun. The other guests assured me they’d be picking up a few kids of their own because the kids had so much fun! For this party I wanted to get a bit creative and really play on the Lego theme. I started by creating a Lego Duplo Pinterest Board. 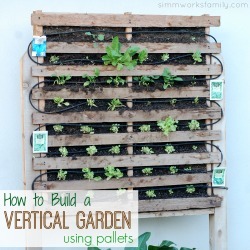 I was able to find amazing ideas and creations from other pinners, bloggers, online articles, and sites. 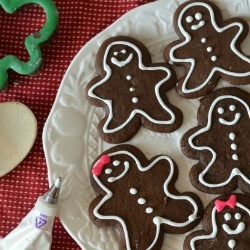 I had grand plans of cookies, skewers, and more detailed goodies but when it came down to it, I stuck with the basics. Foods my 1-4 year olds would love AND eat. You can read all about the food I served here. Then I started thinking about the decorations I wanted to use. There were plenty of ideas for using the legos in the design of the party so I started with the basics, a simple lego brick, and built on that. I absolutely LOVED the fun use of lego-themed garland most of the sites posted but a majority of them were birthday themed. So instead of going the wording route, I simply stuck to construction paper, scissors, and tape. From there I decided to add a few more touches to the food decorations by turning the cups into lego heads, adding a lego head in between my two platters to serve the lego brick foods, and made a few empty boxes into legos to go with the theme. 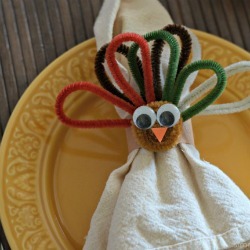 You can read all about the decorations I made here. I wanted to make sure that the Lego Duplo Read & Build kits were front and center throughout the party so I included them on the bar area of my kitchen right at eye level so that as people served themselves they’d see the boxes. Alongside the Read & Build storybook kits were the Lego red plates and Duplo napkins that came in my HouseParty kit. I also was excited to pass out Lego Duplo play guides, magnets, and stickers to each of my guests. Two of the sets were opened for the kids to play with on the table. I filled up a vase with some extra bricks we had lying around (shhh… don’t tell, these aren’t LEGO brand). The rest of our collection of Lego Duplo blocks were kept in the playroom on our train table so the kids could build and create as they pleased. Because I had two areas set up for the kids, the adults were able to converse and chit chat as the kids played around us. I loved having the playroom set up for the majority of the Lego fun. It made clean up a breeze and allowed a great space to build and create. Although a few of my other toys were quite appealing and the kids quickly spread throughout the house with more than just Legos in hand. I’m sure if I had a bit more time, help, and money I could have done more but the simplicity of this party was perfect. The kids had an absolute blast playing, building, and reading. Disclaimer: I received a HouseParty Lego Duplo Party Kit in exchange for hosting a Lego Duplo Party. Regardless, I only recommend products or services I use personally and believe will be good for my readers. I have been looking for a chance to throw a Lego themed party for quite a while. Pinterest has added to this obsession (along with a lot of other party themes I want to attempt). HouseParty sent out an awesome hostess kit that included 4 Read & Build kits, a Lego Duplo poster (pictured below), Lego red plates, Lego Duplo napkins, and some awesome Lego goodies for my guests to take home including magnet frames, stickers, and a Lego Duplo fun guide. I was excited to use my new large chalkboard and incorporated it into the party by copying the Lego logo on it with chalk. The logo was very simple and straight forward and I was pretty happy with how it turned out. I added duplo to the bottom and *almost* attempted to draw the Duplo bunny but didn’t want to mess anything up. The decorations started with a garland of Lego bricks. I grabbed a stack of red, green, and blue 8×11 construction paper and cut 8×5 bricks out. I used the scraps to make circles (and used an HonestTea bottle cap as my template). I adhered the circles onto the bricks with tape. Once I had enough of each color I used a hole punch to punch out the circles in the corners and strung the bricks up together with red yarn. I then hung the garland up in the kitchen where I was serving the food. I added a little fun to the drink cups by turning each cup into a Lego head. Each cup matched the Lego guy I put on top of the cups . In order to make a tiered serving tower I covered up a soup can with some construction paper and drew a Lego face on it as well to tie in with the theme. To show off the Lego Duplo Read & Build kits I opened two up and put them on my dining room table. I grabbed one of my vases and added some blocks to make a colorful display. 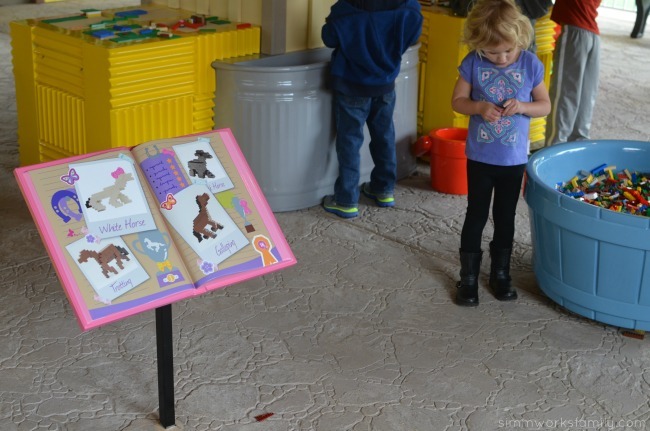 The kids were able to play with the new Read & Build storybook sets at the table and create fun animals as we read the Busy Farm story. To show off the drink cups a bit more I covered them in yellow paper and drew little faces on each of the cups to represent a different Lego guy. If you look closely you can see that each face actually matches the Lego on top of (and hanging from) the cups. Munchies were also Lego themed. We went with peanut butter and honey sandwiches and cheese and crackers. The peanut butter and honey sandwiches were super simple and fun! I made the sandwiches, cut off the crust (and ate them! ), and cut the sandwiches in half. Then I used my smallest round biscuit cutter to cut out small holes out of another slice of bread. I used some more peanut butter to adhere the bread to the top of the sandwiches. Two for each rectangle. If you have a peanut allergy you can easily use sunflower butter instead. Or make the sandwiches with meat and use cream cheese to adhere the bread dots to the top. I was also considering making cucumber and cream cheese sandwiches as well. There are endless possibilities! The cheese and crackers used the same techniques. I slathered two crackers with cream cheese and sandwiched in a piece of cheese in the middle. Then I used the cream cheese to adhere some cheese circles to the tops of the cracker sandwiches. I had all intentions to coat these rectangle sandwich cookies with red, green, and blue chocolate and cover them with little m&m dots but time got away from me so I simply served them as is. Not as exciting but still fit the theme! And the kids couldn’t get enough of them. As a play on the Lego guy’s head shape I made some watermelon & feta skewers for the mamas. This is my latest favorite combo and adding a bit of basil makes this a super tasty bite on a stick. You can also cube up the watermelon, toss with feta and basil, and serve as you would a salad! In order to satisfy the mamas at the party I decided to throw together a simple quiche. Honestly, there’s nothing special about it. 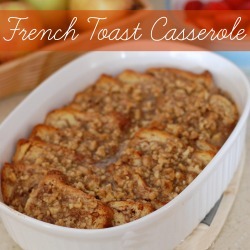 And really… it’s more of an egg bake in a pre-made frozen pie crust. I simply combined cooked sausage, spinach, 6 eggs, a cup of cheese, a cup of cottage cheese, some salt and pepper and poured it into the crust. I then baked until it smelled done (maybe 35 minutes?) and pulled it out. And the color is yellow like a Lego head, right? Haha… might be too much of a stretch. If you were planning a Lego Duplo party what would you serve?